﻿ ﻿﻿ In regards to the employment people in Australia, it is also important to keep the employment records to comply with the legal requirements. Here we briefly explain about the record-keeping and pay slips. - the basis of the employee’s employment (full or part‑time and permanent, temporary or casual). - the details of any incentive-based payment, bonus, loading, penalty rate, or other monetary allowance or separately identifiable entitlement paid. - A copy of the written agreement if the employer and employee have agreed to an averaging of the employee’s work hours. - the balance of the employee’s entitlement to that leave from time to time. - a record of the rate of payment for the amount of leave cashed out and when the payment was made. - the basis on which the employer became liable to make the contribution, including a record of any election made by the employee (including the date) to have their superannuation contributions paid into a particular fund. - a copy of any notice or agreement terminating the flexibility arrangement. - the date of any revocation of the guarantee (where applicable). - the name of the person who terminated the employment. 1) What are the pay slip obligations? - in electronic form or hard copy. It is best practice for pay slips to be written in plain and simple English. Pay slips must contain details of the payments, deductions, and superannuation contributions for each pay period. 2) What information must be included on the pay slip? ﻿The following information must be included on all pay slips issued to each employee as prescribed by the Fair Work Act 2009 and the Fair Work Regulations 2009. - Any loadings, monetary allowances, bonuses, incentive-based payments, penalty rates, or other separately identifiable entitlement paid. > the name, or name and number, of any superannuation fund into which the contributions were made or will be made. - issue electronic pay slips in an easily printable format. 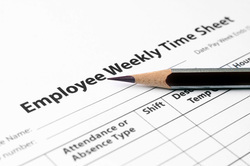 - ensure that employees can access and print their electronic pay slips in private (e.g. it would be inappropriate to issue an electronic pay slip to an employee who doesn’t have access to a computer terminal to privately read and print their pay slip).